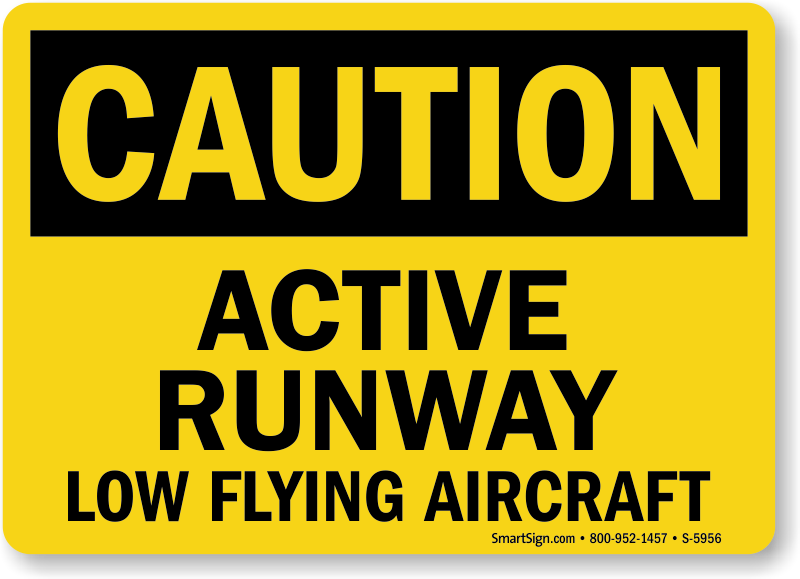 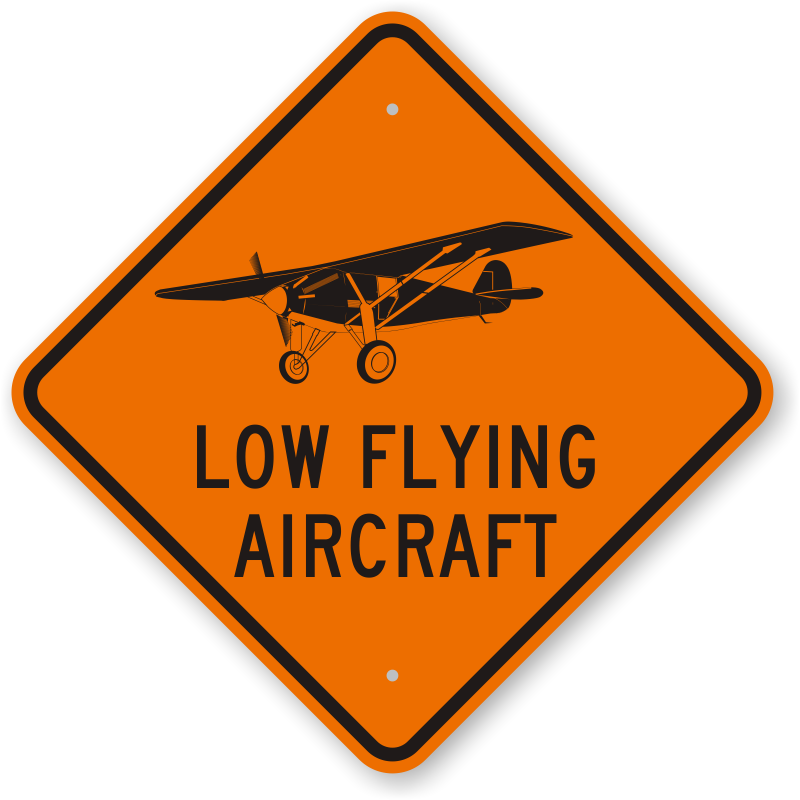 Owners of small airfields need to warn drivers and pedestrians to watch out for aircraft near an active runway. 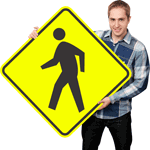 • Reflective signs are easily spotted at night. 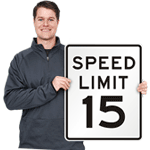 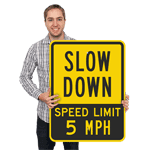 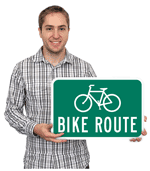 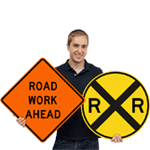 All signs use 3M's industry-standard traffic sign material, and carry a 10-year warranty. 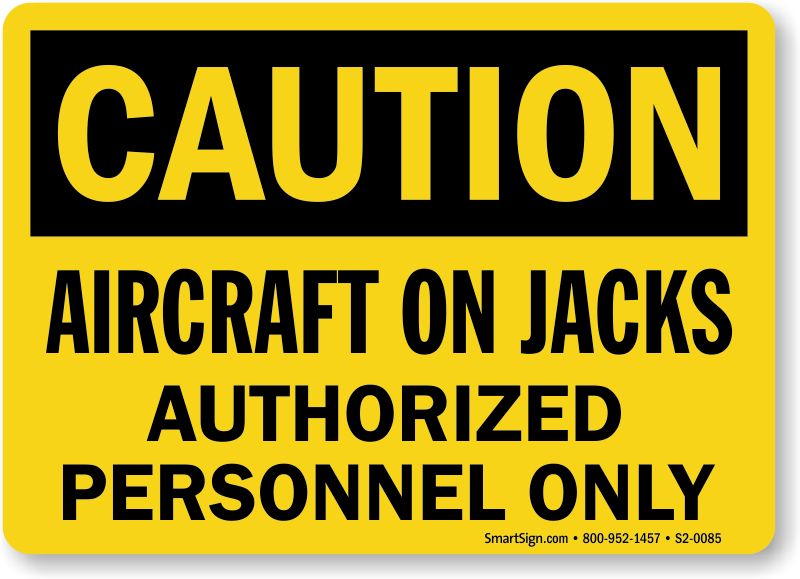 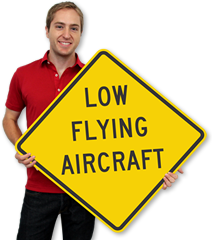 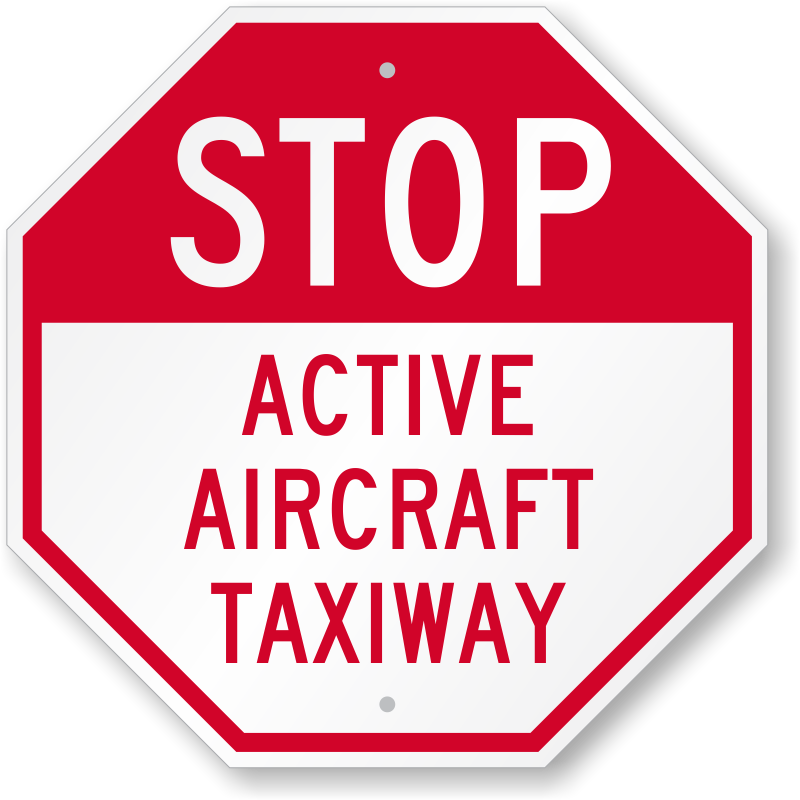 • You can also use these signs to mark airport entrances. 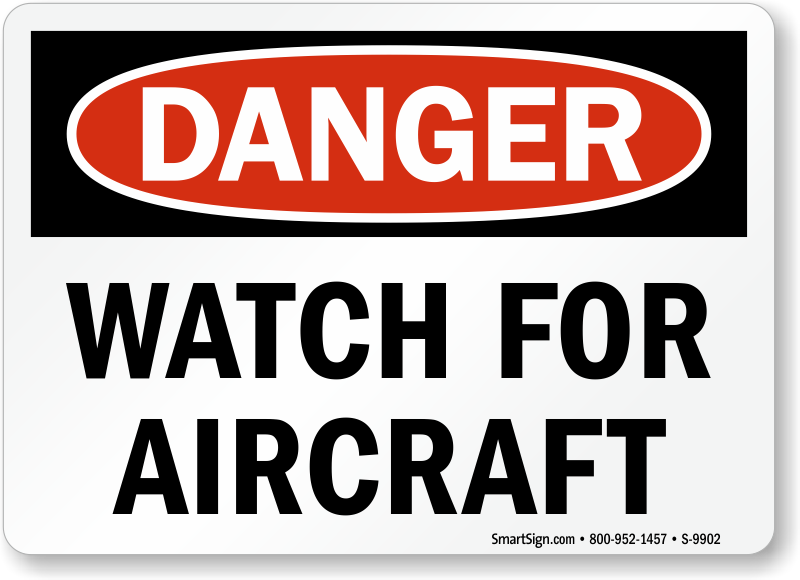 Wind and noise warnings. 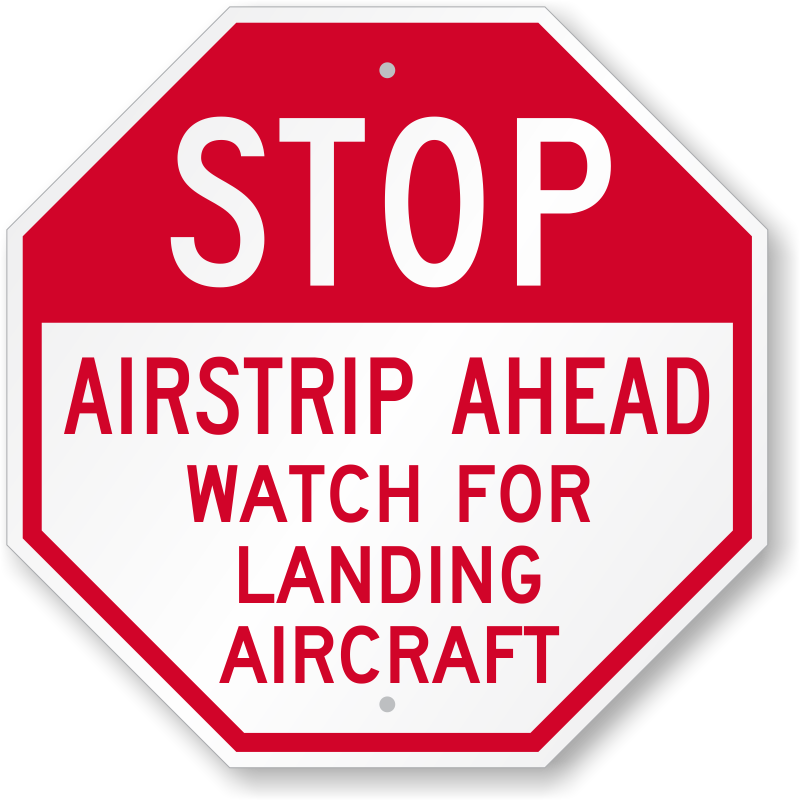 Mark landing zones as no parking areas.